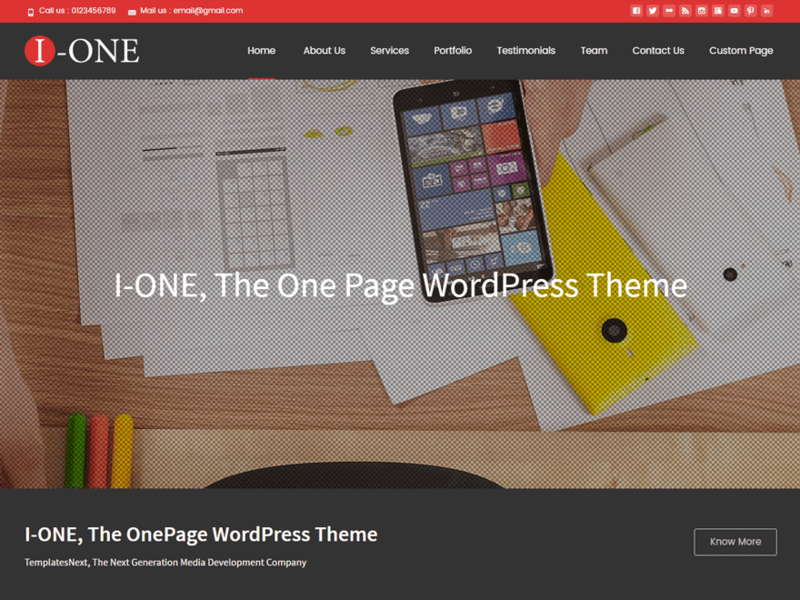 i-one is a beautiful and flexible theme with several premium features including fullscreen slider, portfolio, testimonial, team members, etc. This highly customizable theme is ideal for startup business websites, portfolios, personal websites or blogging. Highly responsive nature of i-one makes it suitable for large desktop screens to small mobile screens. Some of the features are unlimited color, boxed/wide layout, custom background, custom css styling, social links, multiple blog layout, etc. i-one comes with the plugin “templatesnext OnePager” giving you extra flexibility and functionality.